Everyone should have the chance to succeed in life, to develop skills and build a career. 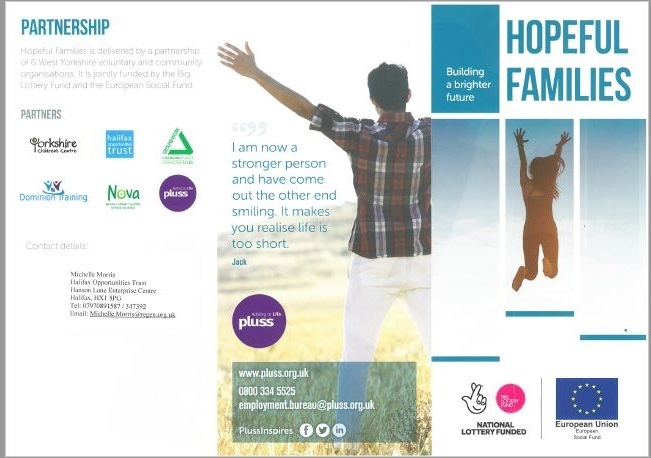 Hopeful Families is a flexible community programme designed to help participants overcome whatever challenges they face. Run by Pluss and community partners such as HOT, it aims to help families manage the tough times and build a brighter future. Job search – preparing CVs, applications and interview practice. Help you to approach employers. 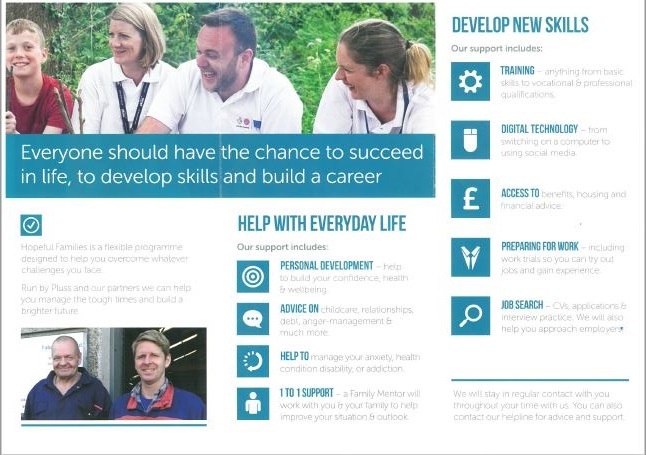 Once participants enter into work, Halifax Opportunities Trust stay in regular contact to offer ongoing support.